Gouda Ham and Potato Casserole is pure comfort food. 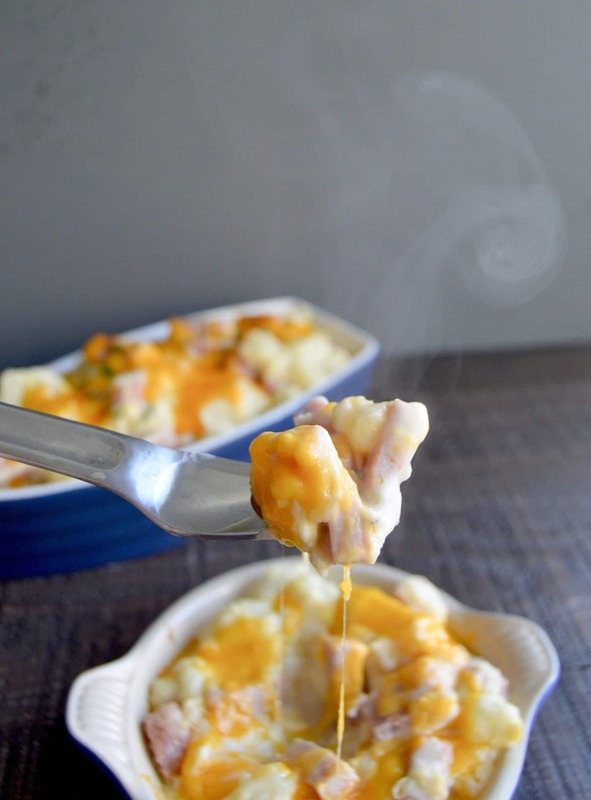 Melty Gouda Cheese wrapped around potatoes and ham gives warmth and satisfaction in every bite! Gouda Ham and Potato Casserole is the adult version of a comfort food that is on my list as a standby for when life gets out of control. We’ve had a cold snap in California (yes I know, 45 degrees isnt that cold by most peoples standards) and just like everyone else we are always on the go with appointments, crazy work schedules and pretty much a million things to do. We’ve also had a lot of visitors which we LOVE having but after driving all over the city to see the attractions this meal makes everyone happy. 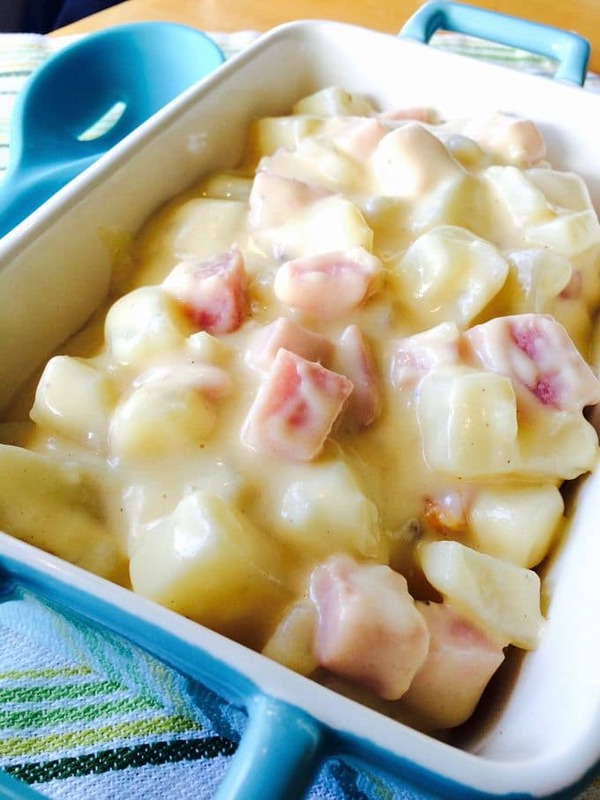 It’s a more advanced version of my Mom’s ham and potato supreme recipe (which just so happens to be my most pinned recipe ever. You can see the dish below and pin from here for another time! Easy/Hard: This recipe requires the ability to peel potatoes and cut and dice them. That hardest thing to pay attention to for its success is to make sure all the potatoes and ham pieces are the same size for even cooking. Make Ahead: Yes definitely! You can even make a double batch of this and freeze half of it for use at a later time. It freezes extremely well. Just defrost it the night before and then bake it as the directions state before serving. Suggestions: I use this for any potluck or as a meal for anyone I need to make dinner for. Its basically the perfect meal to deliver to someone who may need assistance with cooking. It can be delivered to a friend and then all they have to do is heat it up and serve. 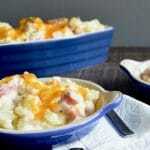 This recipe for Gouda Ham and Potato Casserole (or hot dish) also works for BBQ’s. 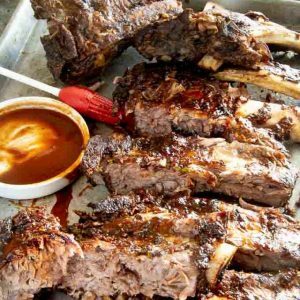 As long as you have a pan that is safe for the grill you can warm it on the grill. Peel and dice potatoes and place in a stock pot of cold water. Simmer on high until the water starts to boil, then reduce heat to medium. Boil potatoes until they are cooked thru, but still somewhat firm (al dente) The potatoes will continue to cook when in the oven after mixing all ingredients. If you cook them to doneness now, they will become a soft mushy mess after baking. Once Potatoes are cooked to al dente, drain water and put back into the stockpot until later. Dice ham into the same size you cut your potatoes. Once diced, place on top of potatoes in stockpot until ready for sauce. Once butter is melted, add minced onions and cook until translucent and soft. (About 5 minutes.) Resist turning up the heat to cook more quickly, you want the onions to remain unbrowned. Once the onions are translucent, add the flour to the sauce pan and cook for 5-8 mins. Stir with a whisk constantly. This step is crucial to get the earthy taste of flour to come through and not be paste tasting when finished. Once flour is cooked, slowly add milk to flour mixture, whisking rapidly. It is better to incorporate small amounts of the milk while whisking to avoid lumps. If you pour all the milk in at once your sauce may be lumpy. Once sauce reaches the spoon test thickness, add in salt, pepper and 1 cup Gouda cheese and 1/4 cup of cheddar cheese. Once cheese is melted completely, remove from heat and cool for 5 minutes. Pour Cheese mixture over potatoes and ham mixture and stir to distribute all evenly. Sprinkle remaining cheddar cheese over the top. I used yellow cheddar so it would contrast to the rest of the cheese but you can use either. Bake, uncovered at 350º on the middle rack in the oven for about 30 minutes, or until the cheese is melted and the sides are bubbly. Once done, let rest for 15 mins then sprinkle fresh parsley on top and serve. This dish freezes really well. You can double the recipe and after baking divide it into smaller portions for the freezer. If you have some picky eaters, the dish is fine without onions. Any semi-soft cheese will do. If you prefer a gouda, use that. I've also mixed both cheddar and a goat cheese for a slightly tangy taste. All recipe calorie information was calculated on what I purchased to make this recipe in My Fitness Pal. When you make the recipe, the calorie content could vary depending on what specific ingredients/brands you actually use. Please take that into consideration if you are following a strict diet. How many calories per serving is this and how big are your servings? This looks so gouda, I’m just going to ham to try it! But seriously I love cheesy potatoes and this looks awesome. This is what I’d love to see at an Easter brunch! Warm, gooey, Gouda and not a cream of can anywhere in sight. Now I just need some friends to help me eat it! Yum yum yum! The mix of gouda in there gets my heart pitter-pattering! This combo sounds so warm and comforting. Your cold snaps sound like our “cold snaps” here in Atlanta. No matter how cold your coldest days are, it’s so nice to come home to something creamy and delicious like this. This just may have to be added to our lineup this week! 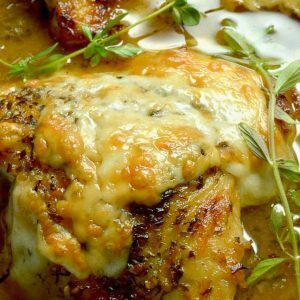 I am such a fan of gouda, so this recipe sounds especially inviting. 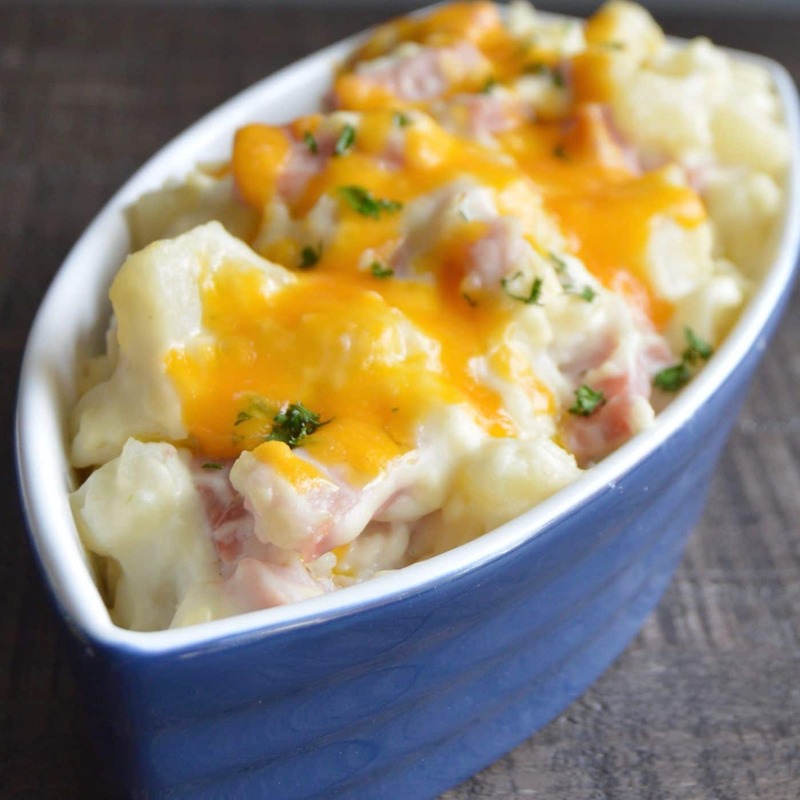 That sauce looks so creamy, and combining it with potatoes and ham sounds like the perfect way to warm up on a chilly night. I love that it freezes well, too. 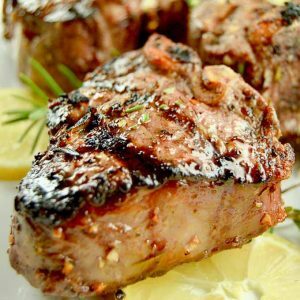 We participate in a volunteer program to make freezer meals for families with someone in the hospital, or who are grieving, and this would be absolutely perfect to add to the rotation! Dude! You totally rocked that steam shot! I”ll have to check that out… thanks! Even though I live in frozen tundra (Western New York!) 45 degrees is still cold, especially when you’re not used to it! This looks like the ultimate comfort food- cozy and cheese with the most savory delicious flavors. My husband will especially love it!! 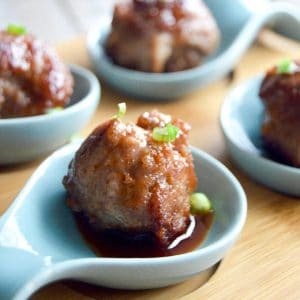 These look like little bowls of deliciousness! Cheesy goodness right there, and they sound so tasty! Gouda is one of my favorite cheeses, the smoky flavor is perfect! Can’t wait to make this! Oh man – totally swooning over all that melty cheese!! This looks divine! I actually have a couple of friends to cook for this week and I think I know what I’ll be making! Thanks so much for sharing. Ooooh, that cheese!! This looks like a fantastic casserole! I love it when I come across cheesy, gooey, comfort-food like this that ALSO happens to be made with simple and honest ingredients. Bonus points for the fact that it can be made ahead of time too. Gotta love that. I don’t cook that often with smoked gouda (or gouda in general really) but I do love it, and I bet that it works AMAZINGLY well with the ham. Gotta say, you’re getting me excited about making a casserole – thank you! 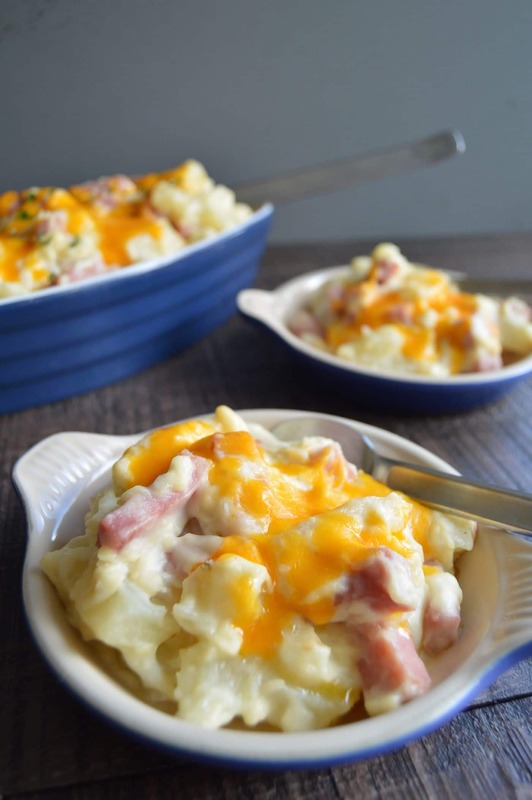 This looks like the ultimate comfort food — potatoes, ham and cheese?! Especially smoked gouda — that’s one we are particularly in love with here. And I concur with your assessment about frigid temperatures — 45° is bone-chilling — of course, I live in South Florida, sooooooo…….. I bet there isn’t much insulation there either…. ha! My friends in the midwest think Im ridiculous being cold at anything above 20…. LOL. Thanks for stopping by!